The third Wadsworth (FFG-9) was laid down on 13 July 1977 at San Pedro, Calif., by the Los Angeles Division of the Todd Pacific Shipyards Corp.; launched on 29 July 1978; and sponsored by Mrs. Patricia P. Roberts, great-great-great-granddaughter of Commodore Alexander S. Wadsworth. 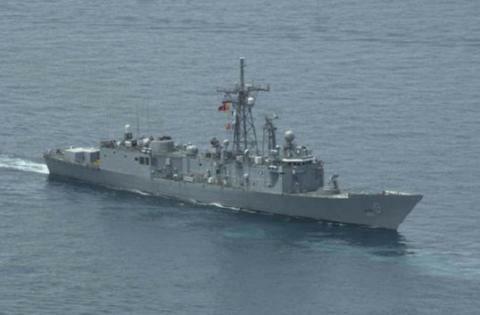 The frigate was commissioned on 2 April 1980, Comdr. John C. Ruff in command.